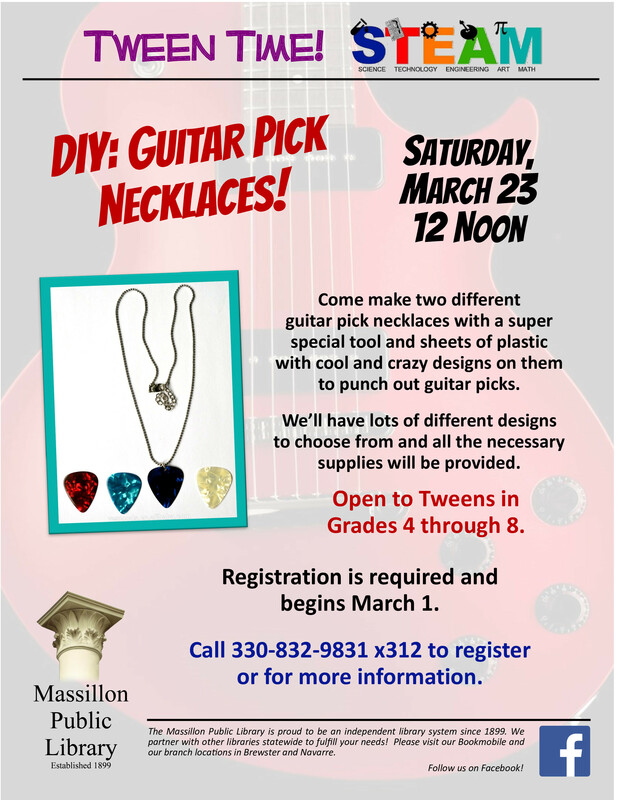 Tweens in grades 4 through 8 are invited to make two different guitar pick necklaces with a special tool and sheets of plastic with cool designs on them. There will be lost of designs to choose from and all supplies will be provided. For more information or to register, contact the Children's Department at 330-832-5037.